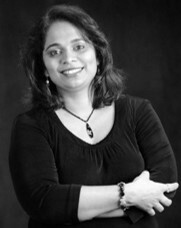 Chaitra Vedullapalli - Excellent Cultures Inc.
Chaitra Vedullapalli has over 17 years of experience in the software industry. She brings a host of capabilities including marketing, industry, and partner expertise. She has a proven track record of enabling global transformations, architecting innovative business models, launching 360 degree marketing, leading communities and leading teams with excellence. Chaitra was a Senior Director of WW Sales and Marketing Communications at Microsoft, where she led social enterprise implementations and shaped Microsoft Customer and Partner Self Service Experience, which impacted over 10 million customers and 1 million partners. She has also served as Director of Licensing and PartnerNetwork at Oracle where her projects drove licensing simplification and enabled state of the art innovations in the Partner Self Service Experience. Chaitra holds a patent in WebMethods and a Bachelor of Electrical Engineering from RVCE, Bangalore. She is known for her thought leadership and social entrepreneurship for developing programs such as “Showcase Seattle” and “Creative Children for Charity” to empower artists across the world and contribute to TED events to disseminate and share innovative ideas. Chaitra has presented at numerous events such as “The Future of Marketing – Personalization Revolution” and “Localization World” and IPQC- Channel Partnering. She has also published “PARTNER Tweet” – 140 Bite-Sized Ideas for Succeeding in Your Partnerships, now available on Amazon.